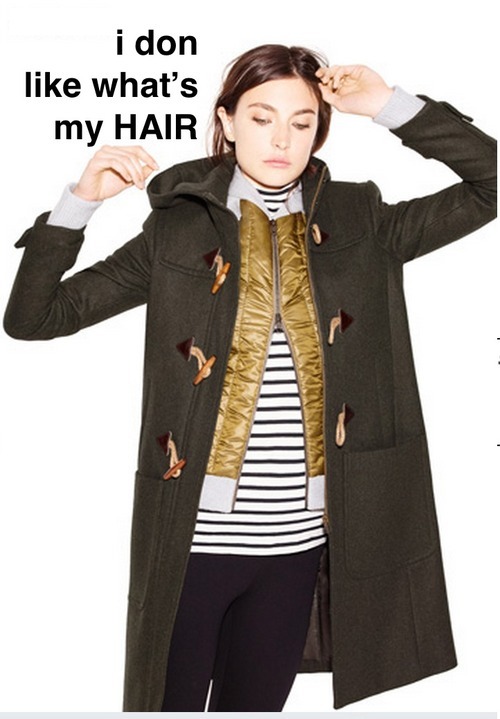 Last week, a little Tumblr site called Drunk J.Crew won the Internet with its hilarious captions on J.Crew catalog models who, in attempts to look easygoing and carefree, actually look rather drunk. Now it seems there are people looking to capitalize on the success of the account, which has only been around for about a week. According to former The Onion writer and stand-up comic Dan Telfer, there is an impostor Drunk J.Crew twitter account floating around and it’s gaining followers masquerading as the real thing. Apparently, the correct twitter and Instagram handle for the site is @DrunkJCrewUGuys, as opposed to @DrunkJCrew, which popped up on October 16. Jen Ellison, the Chicago-based comedienne and brain behind the Tumblr, posted her first tweet on October 17 stating that hers is the real account. We looked through the alleged poseur account and it seems Telfer is on to something. Whereas @DrunkJCrewUGuys includes tweets and retweets of press snippets, @DrunkJCrew simply has photos ripped from the Tumblr page. We would think that were @DrunkJCrew a real account, there would at least be retweets from the several media outlets that covered the page. Right now, @DrunkJCrew has about 500 more followers than @DrunkJCrewUGuys. We’re pretty sure Jen Ellison is looking to change that.